World No. 2 Roger Federer believes the US Open is going to be “epic” now that Novak Djokovic is back to his Grand Slam winning ways and with Andy Murray returning to action. Djokovic emerged from a difficult two-year period to make a stunning run to the Wimbledon title last month, adding a 13th major to his tally, and shooting back into the world’s top-10. 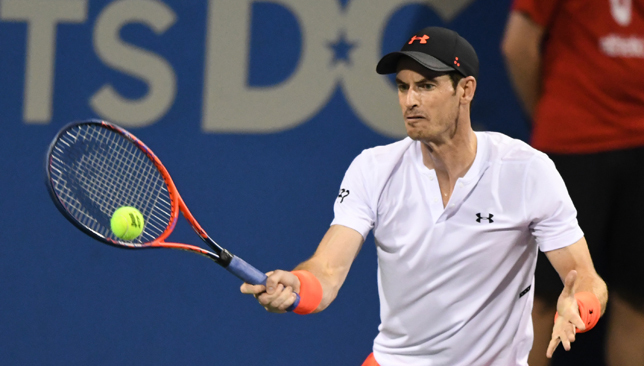 Murray, who spent nearly a year away from the sport dealing with a hip injury that required surgery, played just his seventh match of the season on Monday in Cincinnati but built some momentum by making the quarter-finals in Washington earlier this month. Cincinnati was supposed to be the first reunion for all members of the ‘Big Four’ (Rafael Nadal, Federer, Djokovic and Murray) since Wimbledon last year but Nadal made a last-minute withdrawal after he clinched the title in Toronto on Sunday. Still, with the quartet all set to contest the US Open – which starts on August 27 – Federer is expecting a scorcher in New York. The Swiss was shocked by Kevin Anderson in a marathon five-setter in the Wimbledon quarter-finals last month and witnessed Djokovic secure the trophy from afar. He believes the Serb’s triumph can only mean good things for tennis. “I think that’s why we have an exciting draw here. Of course it’s a pity Rafa is not playing, which would add massively to that section of the draw there now, that he’s not there, it’s a bit of a bummer. But other than that you have still these amazing draws, with [Milos] Raonic floating, [Kei] Nishikori floating a little bit, Stan [Wawrinka], Murray, even Novak who is not quite in the top-four yet in the rankings. So you just don’t know where they’re going to be situated in the draw,” Federer told reporters in Cincinnati on Monday, where he is looking to win the title for an eighth time. Djokovic began his Cincinnati campaign overnight, against Steve Johnson, and is seeded No. 10 in the Masters 1000 event. He was initially drawn in Nadal’s quarter of the draw but the Spaniard has now been replaced by Tunisian lucky loser Malek Jaziri. “Novak winning Wimbledon obviously that was massive, I don’t think he expected it,” continued Federer. “I remember the press conference he gave after Paris [losing to Marco Cecchinato] when he was like ‘I don’t know yet I was frustrated, I just want to get out of here’. And people were asking him ‘What, you’re not going to play the grass?’ And then he should have won Queens and goes on to win Wimbledon, so things can turn very quickly, regardless if you’re positive or not, sometimes when you just put yourself out there and then you get excited in a quarters of semis of a Slam you can start playing your best tennis. Djokovic’s Wimbledon success ended a streak of six consecutive Grand Slams captured by either Nadal or Federer and the trio will have all eyes on them at the US Open in two weeks’ time. “Novak can play with less pressure again I guess, to some extent, but you can always get caught up in the pressure, the media saying ‘well clearly now you’re going to win the US Open’, and you’re like ‘Well, I guess so, yes’. And then rather than you being able to say ‘Well, we’ll see what happens’, perspective changes from your side but also from the media. But definitely exciting times, a lot of the best players are back in the game and I think the US Open is going to be epic,” said the 37-year-old Federer, who plays Germany’s Peter Gojowczyk in the second round in Cincinnati. Murray fell to France’s Lucas Pouille in the first round on Monday 6-1, 1-6, 6-4. The Rogers Cup commences on Monday with Simona Halep leading the field in Montreal and Rafael Nadal the top seed in Toronto. Germany’s No. 2 seed Alexander Zverev is the defending champion and heads to Canada in the same position he was in 12 months ago, fresh off of a title run at the Citi Open in Washington D.C.
Ukrainian world No. 5 Elina Svitolina is the title holder and will be making her first appearance since a disappointing first-round exit at Wimbledon last month. Here are six things to know about this week’s Rogers Cup. Both Zverev and Svitolina have had success as defending champions. Zverev repeated his title runs in Munich and Washington this year after lifting the trophies there in 2017, while Svitolina went back-to-back in both Dubai and Rome in 2017 and 2018. She also defended her Baku title back in 2014. While they are yet to fulfil their Grand Slam potential, Zverev and Svitolina have certainly established themselves as powerhouses on tour and do not succumb to the pressure of being the reigning champion at a tournament. The ATP Rogers Cup is the only one of the nine Masters 1000 tournaments to be won by five different players over the past five editions, with Alexander Zverev (2017), Novak Djokovic (2016), Andy Murray (2015), Jo-Wilfried Tsonga (2014), and Rafael Nadal (2013) crowned champions in Canada over the last few seasons. Will we get a sixth different winner in a row this week? After losing in the San Jose first round last week to Johanna Konta, Serena Williams pulled out of Montreal citing personal reasons. Fellow Americans CoCo Vandeweghe (right ankle) and Madison Keys (right wrist) have also pulled out while Slovakian Dominika Cibulkova – a quarter-finalist at Wimbledon last month – has withdrawn due to illness. On the men’s side, Roger Federer and Andy Murray are the most notable absentees with the former opting for a light schedule and the latter recovering from a gruelling few matches in Washington last week. In Toronto, Novak Djokovic opens against Chung Hyeon, who defeated the Serb en route to the Australian Open semi-finals in January. Swiss wildcard Stan Wawrinka faces Aussie big-hitter Nick Kyrgios, No. 11 seed Diego Schwartzman takes on British No. 1 Kyle Edmund, home favourite Milos Raonic kicks off his campaign against No. 10 seed David Goffin while Greek teenager Stefanos Tsitsipas squares off with Bosnian Damir Dzumhur. In Montreal, 12th-seeded Daria Kasatkina opens against San Jose runner-up Maria Sakkari, Indian Wells champion Naomi Osaka faces Spanish qualifier Carla Suarez Navarro, ex-world No. 1 and Belarusian wildcard Victoria Azarenka takes on crafty Frenchwoman Kristina Mladenovic and local wildcard Eugenie Bouchard starts against 14th-seeded Elise Mertens. On the men’s tour, the No. 1 ranking has swapped hands between Nadal and Federer six times already this season, but with Nadal now a healthy 2,230 points ahead of the Swiss in the rankings, and Federer opting out of Toronto, which means he’ll drop runner-up points from last year, the gap between the pair will increase this week. Simona Halep started her 40th week (24th in a row) as world No. 1 on Monday and is 851 points ahead of second-ranked Caroline Wozniacki. Halep has semi-final points to defend from last year in Canada, while Wozniacki has runner-up points to defend. The Dane cannot usurp Halep in the rankings this week. Angelique Kerber will be making her first appearance since lifting the Wimbledon trophy last month – her third Grand Slam title – while Djokovic is also playing for the first time since claiming a fourth crown at the All England Club. With both of them back on their favourite surface, the pair will be looking to keep the momentum going on the hard courts of Canada. Andy Murray has pulled out of his Citi Open quarter-final with Alex de Minaur in Washington. The former world number one cited exhaustion for his decision following a gruelling week which had seen him taken to three sets in all three of his matches and spend more than eight hours on court. “I also need to be careful and to listen to my body as I come back from a long-term injury. It was Murray’s first hard court tournament since March 2017 having been plagued by a hip injury. Murray had earlier announced he would not be playing in next week’s Rogers Cup in Toronto. The week in Washington saw Murray play the most consecutive matches since returning from the hip problem which kept him out for 11 months and he will now have a week’s rest and recovery instead of heading to Canada. He was handed a wild card to the tournament he has won three times, but will now travel to Cincinnati to prepare for his next scheduled event – the Western and Southern Open starting on August 13. Murray earlier said in a statement on Facebook: “Sadly I won’t be able to take my place in the draw in Toronto. I’d like to thank the tournament for a wild card, I always love playing in Canada and look forward to returning next year. “I’ve played quite a few matches this week in Washington and I need to be smart with my rest and recovery as I come back from injury. Murray was left sobbing after his marathon win over Copil, which came after previous lengthy battles against Mackenzie McDonald and British number one Kyle Edmund.